Created by Belgian sticker artist freaQ. 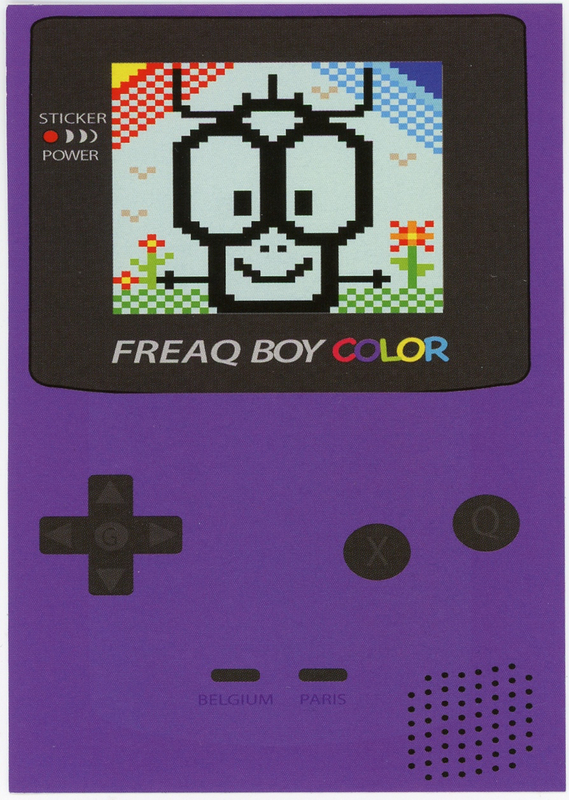 Image of a purple handheld video game device, a culture jam based on the original device known as “Game Boy Color,” a handheld game console manufactured by Nintendo in 1998. In the center of the video game screen, a multi-colored, pixelated character stands on a green lawn with flowers with the words “Sticker Power” written in a small font to the left.